When you hear a violist, ever wonder "what viola are they playing?" 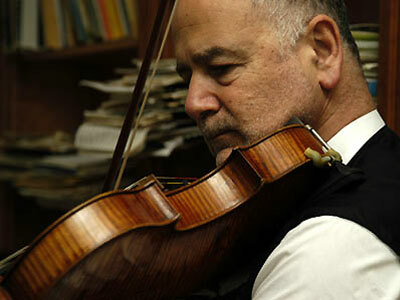 We have compiled a small list of violas that famous musicians have played or continue to play. 1697 "ex-Lord Harrington" Guarneri, now called "ex-Primrose"
Are you a violist or interested in becoming one? Take a look at our Fine Violas! German violin making all began in Fussen, Germany. The German school of violin making, however, managed to infiltrate all areas of Europe: George Epp, the Hollmayrs, and the Fichtls took on Vienna, Andreas Ott and Bathasar Kogl were the founders of the the Prague cohort, Caspar Tieffenbrucker introduced violin making to Lyon, and Naples was home to Georgio Bairhoff and Eberle, while Michael Platner and David Tecchler lived and worked in Rome. The most famous of all German makers, to this day, remains Jacobus Stainer. His instruments became the model of excellence before Stradivari's instruments became the ultimate. 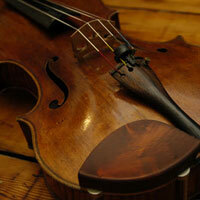 When you hear a great performer, do you ever wonder, "What violin are they playing? Is that a Strad?" A common assumption is that all violin soloists are playing on the violins of Antonius Stradivarius. Many are, but not all. Then there are those lucky few that own and play on more than one great instrument. 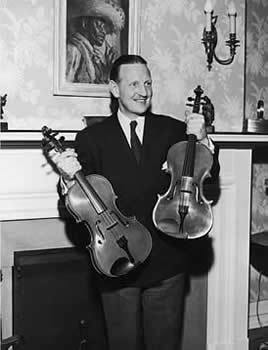 Two Stradivaris or a Stradivarius and a Guarnerius. Hmm, what should I play tonight?